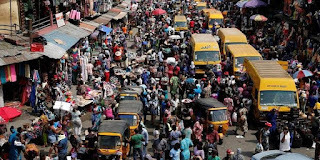 Nigerians who are 60 years and above currently represents less than five per cent of the entire population, while overall life expectancy is 55.2 years, the National Population Commission (NPC), reveals. The Acting Chairman of NPC, Alhaji Hassan Bashir, stated in New York while delivering Nigeria’s statement at the 52nd Session of the United Nations Commission on Population and Development. According to the World Health Organisation (WHO), life expectancy is the average number of years that a newborn is expected to live. However, only 36 per cent of them had their deliveries in health facilities and 38 per cent of the deliveries were attended to by skilled birth assistants, he said. Nigeria’s Ambassador to the UN, Prof. Tijjani Bande, also delivered a statement on behalf of African Group, in which he said Africa recognised the urgent need to unleash the creative initiative and energy of its large youth population. “To this effect, the African Group supports the free movement of people and goods within countries as it fosters rural-urban inter-linkages, and regional integration,” he said.